Apple CEO Tim Cook will appear on Good Morning America tomorrow, for what the show is calling a "wide-ranging and exclusive interview" with Robin Roberts at a school in Harlem in New York City. In a minute long teaser clip shared on the Good Morning America Twitter account, Cook was asked about Apple's upcoming AirPods, where he alleviated fears that they're going to be easy to lose or will fall out of the ear. 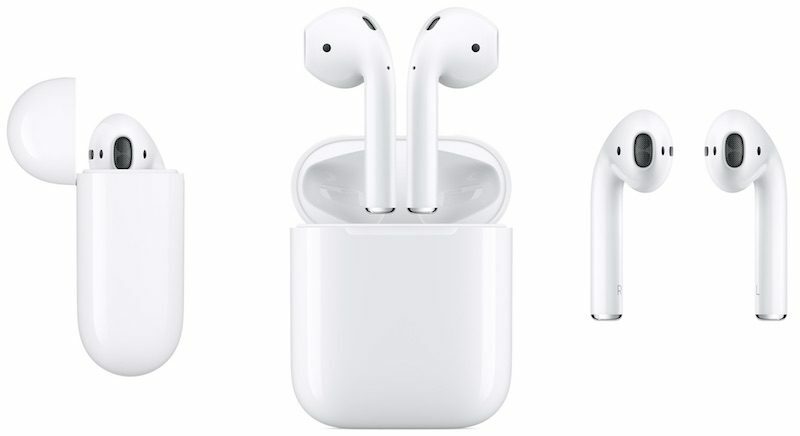 Cook says AirPods will be kept safe in the dedicated battery case and because there are no wires, there's nothing to pull them out of the ear. "I have never personally had one fall out since I've been using it," he said. "They're absolutely magical." He went on to explain that he's used them on the treadmill and when dancing, all without incident. Good Morning America didn't share details on other topics Cook will speak on, but given the recent announcement of the iPhone 7 and the iPhone 7 Plus and the launch of iOS 10, watchOS 3, and tvOS 10, we can expect to hear his views on those products. Good Morning America's interview with Tim Cook will air on Wednesday, September 14, from 7:00 a.m. to 9:00 a.m.
My oh my how low the bar has been set by Tim Cook. Why? AirPods do appear somewhat magical in the way they connect, function, and deliver content to your ears. I am thrilled Apple created this product. I'm very excited to get my AirPods. They look truly incredible. I never bought into the nonsense that airpods would fall out. Apple always sweats these details. They wouldn't allow it to slip through. :rolleyes: oh brother. Here we go with the magical mumbo jumbo. Give it a rest Timmy. And I'm sure you were dancing with these pods in your ears. Maybe dancing all the way to the bank is more like it. If you haven't yet played the "Tim Cook interview drinking game", you quickly need to change that. I hope there's talk of "magical" new MacBook Pros. The noise level about the removal of the headphone jack and these new airpods reminds me of Apple's refusal to include Adobe Flash support in iOS. It was bold, brave and the right thing to do. Who now thinks that flash support should gone into iOS? I bought a nice pair of bluetooth headphones over a year ago and I hate them over BT, plugged in they deliver great sound. To me it's not a failing of the headphone manufacturer but a failing of the bluetooth technology. If Apple's W1 can deliver the same quality of sound over wireless that I get from their wired ear phones then this will be proof that they can continue to lead in their field without Jobs. I think the only thing missing is Jobs himself and one of his "open letters", about why the audio jack had to go. Should to start placing bets on what lines he's going to use? I want Jet Black AirPods!!! They were custom fitted to Tim's ears. No wonder they don't fall out.